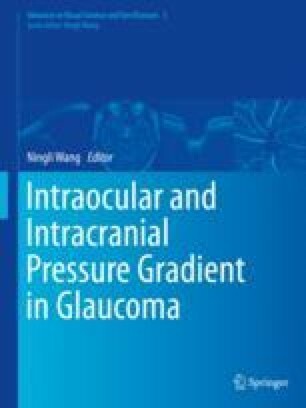 Primary open-angle glaucoma (POAG) is a public cause problem with a projected prevalence of 110 million patients overall by 2040; 40 million of these cases will come from Asia . Therefore a deeper understanding of this disease is an urgent challenge as treatments that address the root cause of POAG are needed. POAG is a seemingly enigmatic disease. The intraocular pressure (IOP) may or may not be elevated. If IOP is elevated, anterior segment examination does not reveal clues as to why this is the case. The optic nerve is excavated and pale, and there is attendant VF loss (Fig. 44.1). Genomics offers an incredible opportunity to gain insights into this IOP-related otherwise idiopathic optic neuropathy.